On the first floor of this three-story structure in South Williamsburg, you’ll find a specialty market and to-go counter that serves coffee, pastries and breakfast sandwiches, including the “Elvis” made with sunflower butter, charred bananas, house fluff and sour apples. During warmer months, enjoy your latte in the rooftop garden or sidewalk cafe. For a sit-down dinner or brunch, head upstairs to the second floor dining room. While they do use nut butter, nut oils and various nuts in certain dishes, the kitchen staff goes the extra mile to keep nuts separate and sanitize shared surfaces. Spokin Tip: Gluten-free bread will be available by the summer of 2017. 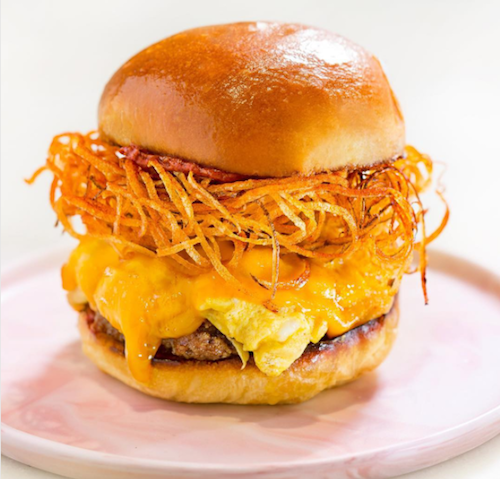 Get a dose of Southern comfort in the midst of Williamsburg at this bustling brunch spot. Breakfast is served all day, and many ingredients are locally sourced and organic, including the produce grown at their six-acre farm in Oak Hill, New York. There are no peanuts or peanut butter in the kitchen. Although their homemade granola is made using some tree nuts, it is stored separately. For a gluten-free option, try the stone-ground grits from South Carolina’s Anson Mills. Hugo & Sons has become a local favorite for Park Slope families who flock through the vintage carriage doors for house-made pastas and thoughtfully crafted kids’ meals like organic chicken nuggets with veggie crudite. For a more low-key, casual experience, head to the converted garage out back. All pastas and pizzas can be prepared gluten-free, and because every dish is cooked to order, they’re happy to make substitutions. 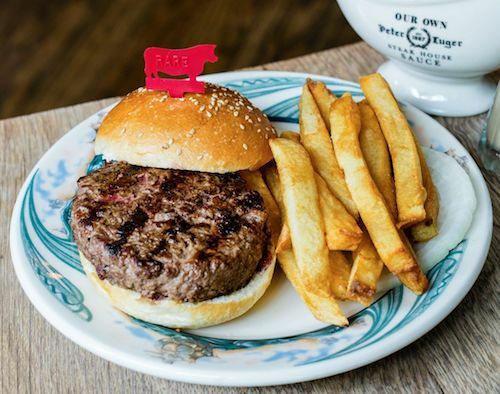 A Brooklyn must-eat list wouldn’t be complete without Peter Luger. Crowds pack into this Williamsburg landmark for their huge slabs of dry-aged beef, creamed spinach and fried potatoes. If you have a milk allergy, ask them to hold the butter. Nuts are limited on the menu, and they use animal fat to fry. Spokin Tip: The salad dressings and famous Luger Sauce are gluten-free. Satisfy your sweet and salty cravings at Pies ‘n’ Thighs. This comfort food haven in the shadow of the Williamsburg Bridge serves up specialty donuts and fried chicken, both prepared in canola oil. There are limited nuts on the menu and their staff are experienced at serving food allergic guests. If you don't feel like dining in, families can order a bucket of their famous fried chicken to-go for a picnic in the park. Spokin Tip: The famous fried chicken contains gluten and milk but no egg, soy, sesame, peanut or tree nut. Young families in Park Slope flock to Franny’s for thin-crust pizzas and pastas made from organic and locally-sourced ingredients. This neighborhood favorite doesn’t stock soy-based products or peanuts, and the nuts used in dishes – such as pistachios, pine nuts and almonds – are stored separately. They offer one dairy-free pasta per day and the polenta topped with seasonal veggies is a tasty option for gluten-free diners. 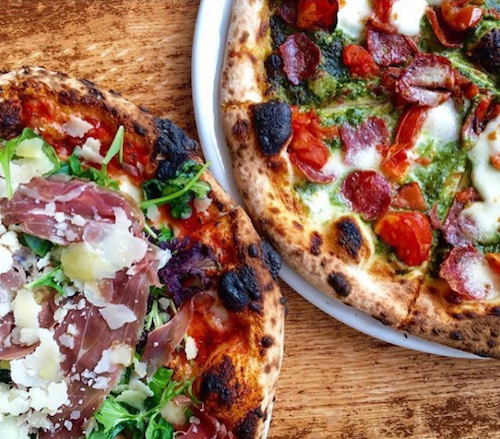 Brooklyn is known for its pizza, but for those with milk and egg allergies, there aren’t usually many options. 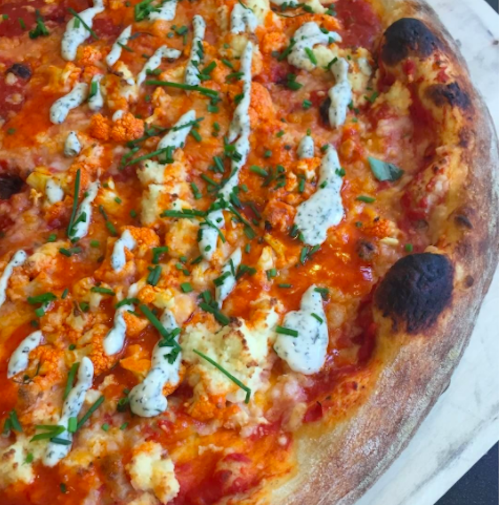 This vegan pizzeria offers 19 specialty pies, calzones and garlic knots that are egg-free and dairy-free. There are no peanuts in the kitchen, however, their ricotta and parmesan "cheeses" are almond-based. Smorgasburg is the largest open-air food market in America. Stop, shop and eat between the 100 local vendors on the waterfront in Williamsburg on Saturdays and Prospect Park on Sundays. Food markets can be easier to navigate than you think with curated options and vendors who know every detail about their products. 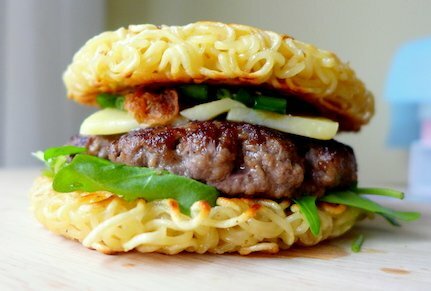 Be sure to try their famed Ramen Burger, it's nut-free.